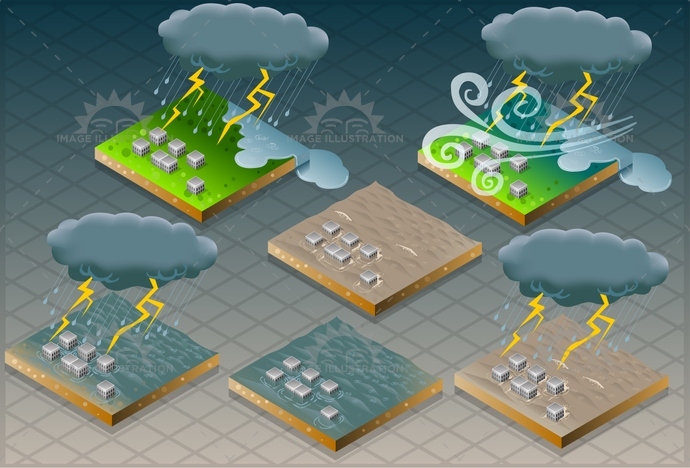 Stock product - detailed vector illustration - Isometric Infographic Collection - Flood Disaster 01 - created by Aurielaki. Image formats EPS AI JPG. SKU: Flood-Disaster-01-Infographic-Isometric-AurielAki. Category: Natural Disaster Vector. Tags: damage, danger, desperation, DetachedHouse, disaster, displaced, ecologicaldamage, evacuation, flood, help, house, inundation, isolated, isometric, mudd, palace, risk, sand, spume, storm, terrain, tornado, tsunami, Typhoon, water, wave, wind.